In season 2018-2019, Bomsori will be „Artist-soloist–in-residence“ at Poznan Philharmonic Orchestra. The residency will include concerts in Poznan, Berlin (Konzerthaus), Milan (Auditorio di Milano) and Prague (Smetana Hall). 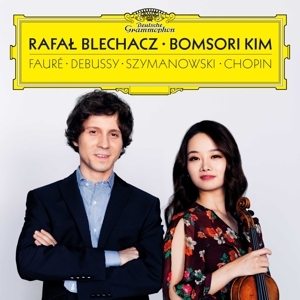 Bomsori will make her European Festival debuts at Dvorak Festival Prague (Rudolfinum), Lucerne Festival, Rheingau Festival, Heidelberger Frühling and Gstaad Festival.